Melden Sie sich an | Passwort vergessen? 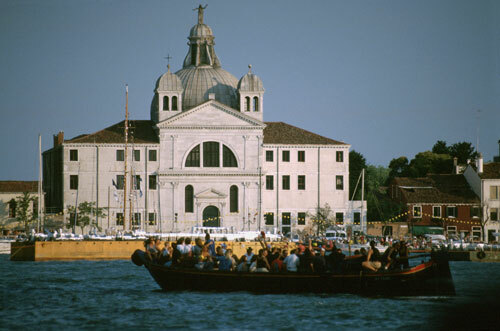 Begun in 1582 by Jacopo Bozzetto - on a plan by Palladio - it was completed in 1586. It’s name, Zitelle (maidens) stems from the adjoining hospice for poor girls of Venice where they could complete their education until reaching the marriageable age. An important part of their studies was music, as attention to the acoustics of the building was set down as a condition in the plans and carried out in the construction of the interior. Special openings on reservation for groups minimum 20 persons.